Looking for private in-home or in-studio Trumpet lessons? Our College Grove teachers are ready to get you started. Find your teacher today! I specialize in brass instruments, and have 20 years of experience. I can teach you everything from sound production and control to crossing from mere technique into meaningful music. We can talk about everything from a trumpeter's leadership role in the orchestra to handling the stress of a competitive instrument. There's a certain trumpet "swagger," and I can help you *earn* it. I have over 10 years teaching experience from beginner through professional level. I have had the privilege of studying with some of the top trumpet instructors in the world and want to share my knowledge and experience with my students. My mission as a teacher is to inspire students to learn the art of the trumpet through a growth and goal oriented approach. I encourage my students to think critically and reflect frequently on their own playing as well as the musical meaning of their pieces. Whether the student is preparing for All-State auditions, college auditions, solo and ensemble, is having chop problems, needs and embouchure change, or just starting out and wants to learn good habits and skills, I can help along the way. With years of teaching and gigging experience as a lead trumpet player, jazz soloist, classical player and composer I can guarantee improvement in whatever area my student is interested in. I can teach from a beginning level all the way to advanced players looking for additional coaching. All ages are welcome. In my lessons we will identify what aspects of trumpet playing and music you are interested in and work to improve in those areas. I specialize in fundamental brass technique, range improvement, endurance, jazz improvisation and songwriting. 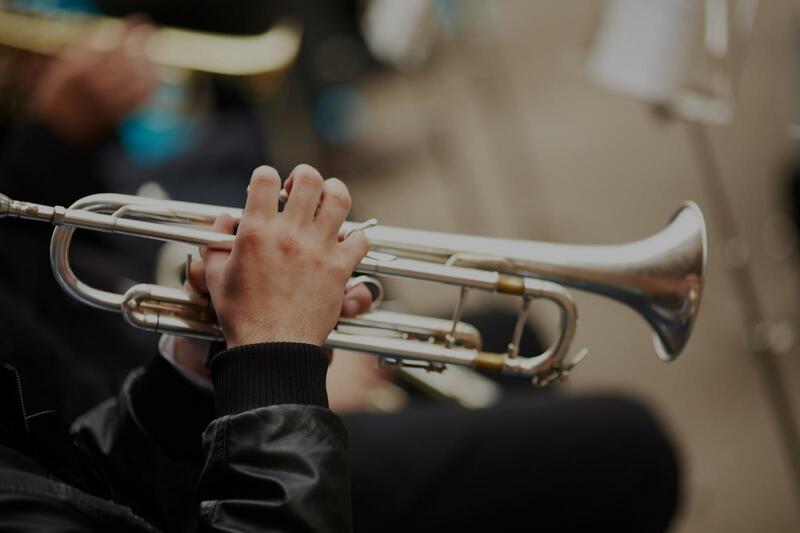 My teaching style will incorporate a theoretical approach so that my students learn about music as a whole while improving their trumpet playing.